Three days to go till BCD. The dancers are doing their final run-throughs and costume touch-ups ready to compete against each other this Saturday, 23rd March, at the Pennywell Project from 7pm. Contestants have been training hard for six weeks to learn two routines and will battle it out in Swing and Salsa, in the hopes of being crowned BCD Champions 2019! The night will not only be an incredibly entertaining, full of sequins and competition, it will also be an experience for all the senses. Audience members will have the chance to win big prizes and make long-lasting incredible memories….. The event will be the first time ever Illumaphonium, which is most commonly found at major national events and festivals including Glastonbury, Boomtown and Bestival, will come to Bristol. Created by musician and inventor Michael Davis, the semi acoustic, semi automatic, multi-player musical sculpture stands over three and a half meters tall. It consists of more than a hundred illuminated chime bars. Just another reason why you don’t want to miss out on Bristol Come Dancing. At Bristol Come Dancing you could WIN one of three exceptional prizes, generously donated by Shambala, Team Love and Camp Katur. 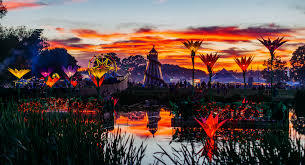 Enjoy an adventure into Utopia at Shambala from 22nd-25th Aug 19. All general tickets are sold out. 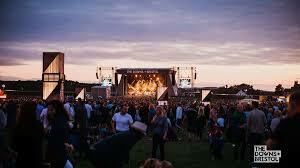 A festival on our doorstep. The Downs is a firm favourite in the Bristol calendar. You could be there on 31st Aug 19. 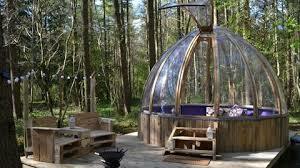 Discover your outdoor happiness at this off-grid glamping site in North Yorkshire. There is more! You’ll also get free audience vote to crown your overall BCD Audience Favourite for their energy and personality. And you can dance, drink and dally the night away with a full-stocked licensed bar, live DJs and some incredible stalls to browse. Tickets are selling fast. Get yours now to guarantee entry to enjoy this unique experience, cheer on the dancers and transform lives. Door tickets: there will be some tickets on the door so you can rock up on the night, first come first served. It will be nice to see you, to see you nice!